Bees make great guests. 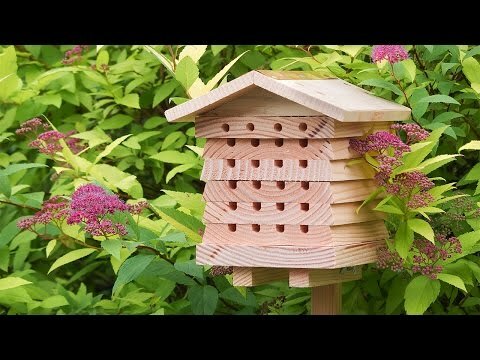 Host them in this adorable, stackable bee habitat and they’ll pollinate flowers, fruits, and vegetables, making your garden lush. 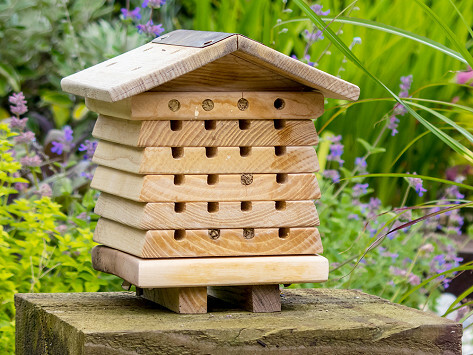 Made from sustainably sourced wood and designed to suit their needs, this hotel is good for the bees, the environment, and your backyard. Dimensions: 7.87" x 8.66" x 8.66"
Besides all those benefits, these critter homes are filled with learning opportunities, too. Scientific concepts like “pollination” and “the food chain” are way less abstract when you can see them come to life and point them out in nature . . . better yet, in your own yard.